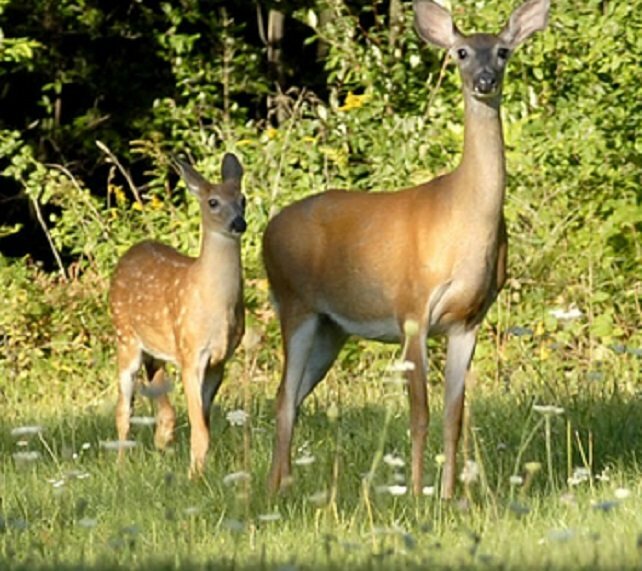 New York State Department of Environmental Conservation (DEC) Acting Commissioner Basil Seggos today announced the availability of a draft Environmental Assessment (EA) entitled "White-tailed Deer Damage Management in New York." The public is invited to comment on the draft EA for deer damage management in New York by January 15. Photo by: Susan Shafer, via NYS DEC.
Albany, NY - December 17, 2015 - New York State Department of Environmental Conservation (DEC) Acting Commissioner Basil Seggos today announced the availability of a draft Environmental Assessment (EA) entitled "White-tailed Deer Damage Management in New York." The EA, prepared by the U.S. Department of Agriculture Wildlife Services' (WS) New York Office, describes the need to manage white-tailed deer to reduce and prevent damage associated with these animals in New York; discusses potential issues associated with managing damage caused by deer; and the environmental consequences of alternatives for WS involvement in deer damage management throughout New York State. Subject: LongIsland.com - Your Name sent you Article details of "DEC Announces Availability of a Draft Environmental Assessment for Deer Damage Management in New York"